Strategy is the pattern of activities followed by an organisation in pursuit of its long-term purposes. A key skill for strategists to develop is the ability to recognize the issues facing their business, to see the significance of developments through the haze of current problems and opinions and then to be able to resist temptation and be able to react strategically in response to such key developments. Experience is undoubtedly key in developing the right skills which will help you recognize the significance of an issue. 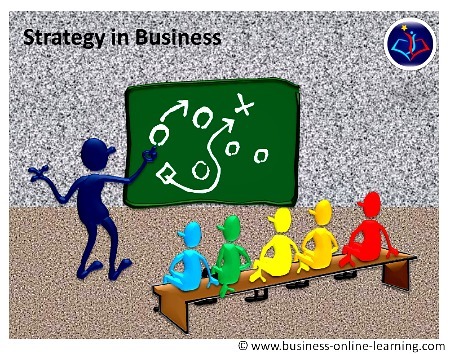 It helps then to understand and know the various methods or concepts available in the definition of strategy. 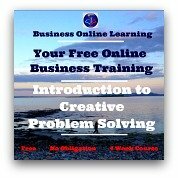 The training material provided here will give you the expertise knowledge on how these concepts will work for your business. As a preparation, create a list of those issues that you consider are the truly significant issues facing your organization. These will probably include developments arising both inside and outside your business. Are the issues truly strategic? What is their impact on your businesses ability to meet or determine its purposes? Strategic Choices The definitions of these strategic issues will help in deciding the choices you have to make as a manager in developing your Strategy in Business. What are the nature, domain and scope of the activities needed to respond the aims? What acquisitions need to be made, how shall resources be allocated or re-allocated and how will these resources and capabilities be committed to? Will there then be an effective match to the environment of your business and the challenges you will meet? How will relationships will stakeholders of your business be managed? Which networks will be nurtured? How will your Strategy in Business define it’s success? Are there measures of your competitive advantage? Or does your business measure effectiveness or efficiency in particular areas? Are there values and beliefs that you can define your measure of success? Can you evaluate your customer’s satisfaction? What is the timeline for these activities? Can suitably objective or quantifiable measures of success be established? Will there be enough, reliable and accessible Information from which you can evaluate the success?